1) Your “About” mentions contacting you to “know more” . . . what more is there to know? 2) What is the AI interaction with the images? Is the AI learning? Meaning, is the process to generate the images ever-changing based on responses to the images? 3) I read the rights but it’s unclear to me if the content generated is sold by you or an entity you contract with (as opposed to being used in connection with advertising). 4) What is the extent of my rights to the generated images? For instance — not that I plan to — but can users sell the resulting images? 5) I listed the site as associated with Google but now I wonder if I (deep) dreamt it since I don’t see Google mentioned anywhere. 6) I notice some images on Instagram . . . are those images from members of from people running the site? Here’s the weird thing . . . they answered. I know it seems like a natural thing, but you’d be surprised how rare it is to get answers. 1. To know more about us – we are a small team located in Bulgaria. We are enthusiastic about AI and really want to make it accessible to everyone. This is why we keep the service free and trying to build it only around ads which help to check the bills for servers. 2. There are a few different neural networks (AI) which we use to process the images but all of them are not actively learning from the images uploaded on the website. They used predefined data sets with a few million images with corresponding labels. With some tweaks they’ve learn how to move styles form one image to another and do other cool things. 3. Sorry we’ve not explained it clearly. Our intention is to make sure users will allow us to share their public content (images they have explicitly marked as public) across our website and social networks. We do not plan to sell any of the content our users submit. 4. Yes, you can use the generated images for commercial purposes as long as you use original materials to create them on the website (i.e. photos you’ve taken or have rights to use). 5. We are not related to Google by any means. We just adopted the Deep Dream algorithm they have open sourced. 6. On our instagram profile we’ve added images created by us. There are quite a few people who upload images to their instagram profiles though. Now, it’s clear from some sentences that English is not their first language; no matter. Their answers were miles ahead of anything I’ve ever gotten from any software company or website I’ve ever contacted. Below is the gallery of some of my recent efforts. All of these are photos that have appeared on this blog. You might even recognize a few. My online gallery is now public, so if you sign up, you’ll see all of my efforts, good and bad. Before I present my efforts, I would direct new readers (and maybe, old readers, too) at something that had slipped my mind and was pleasantly surprised at “rediscovering” . . . so much so that I took some time to edit the effort and streamline the story a bit. I’m referring to THIS post. There is a small public gallery where people’s work is showcased. They are extraordinary visual treats (much better than my drek). The gallery is HERE and you do not need an account to view it. 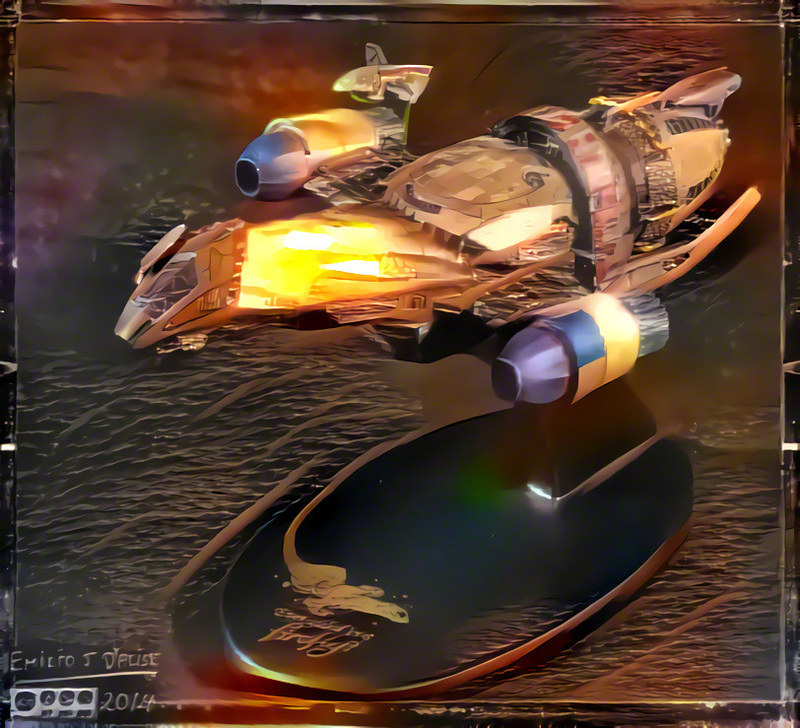 This entry was posted in Photography Stuff and tagged Deep Dream, Photography, post-processing. Bookmark the permalink. Of all of these photos, the bird is a standout. Nice work. I assume you mean the Mayna bird? There’s also a parrot in the gallery. 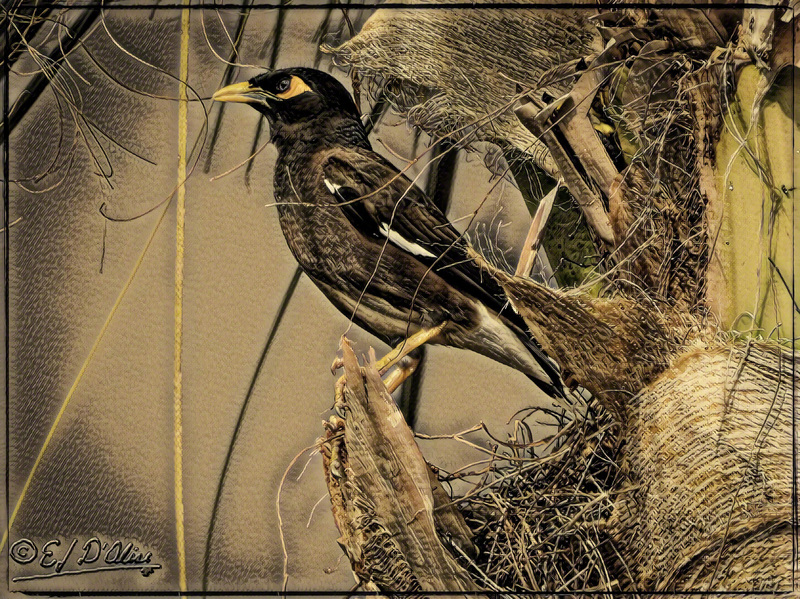 The entire gallery contains great “art”, but the bird photos are especially outstanding as are the auto logos. I definitely cast my vote for the myna and the Mustang . . . both leaders of the pack! Very well done! I have to add that I went to the public gallery and saw very interesting subjects. I still think your choice of subjects and “overlays” are more classy. Thank you but I’m not sure if we saw the same photos in the public gallery. The ones I saw were head and shoulders above anything I’ve done as far as being evocative, imaginative, and artsy. I enjoyed re-reading that story from last year! Glad you enjoyed it; I cleaned it up a bit. It was weird because I forgot all about it and came across it by chance. I wonder if this is what my old age will be like . . . rediscovering stuff I wrote when I was younger as if I’d never seen it before. I especially like the parrot and the last camera! It is fun combining different photos and seeing what the program does with it. Still not up to the level of some of the other offerings, but I’m enjoying the process.